Quick Thoughts: SONS OF ANARCHY, "To Be, Part 2"
So that happened, and by that I mean nothing really changed all that much in Charming. Now, I can understand how some viewers could have been disappointed with how Season 4 of Sons of Anarchy ended, but that doesn't mean I agree with them. 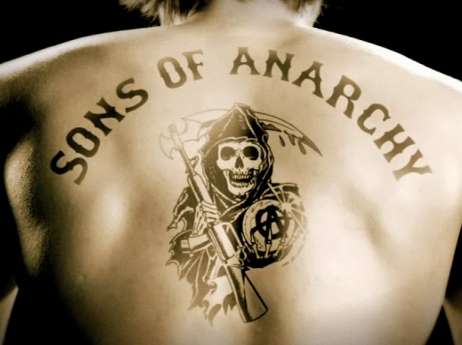 I will fully admit that Kurt Sutter backed away from the opportunity to take Sons of Anarchy to the next level. Had he actually killed off Clay, that would have taken some massive stones, but it also would have removed some of the primary conflict that's been the heart of this show. If Jax had killed Clay, where would the show go from there? Did we really think the Tellers were going to end up in Oregon when it was all said and done? Of course he was going to stick around Charming, and if you take away Clay and the MC, you take away a slew of story telling opportunities. Killing Clay may have been the logical move, but it wouldn't have made sense from a creative standpoint. Then again, I never tricked myself into thinking that Clay had to die at the end of the season like so many did because that would've been short-sighted. To me, it seems like some viewers wanted series finale level changes and forgot that the story's not over yet. Kurt Sutter has at least one more season to run, and he wouldn't have been able to come back from killing off Clay. Now, I'm not gong to absolve Sons of all of the missteps that it made. I'm still not sure what was going on with Charming Heights or Jax's ex, and I wish they had done more with Juice's backstory, but overall I thought it was fine finale. So, "To Be, Part 2" wasn't the epic ending to the season that most were hoping for, but I thought that it did its job, and I wasn't put off by the choices Sutter made because at the end of the day, there are still more stories to tell.